Online players are more likely to rely on commonly used payment methods as they make the deposit process easy. 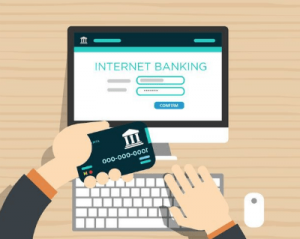 Popular deposit methods include some of the biggest brands such as Visa and MasterCard, as well as unique online services you may not have thought of using before. We cover all of the options available in this article. Credit and debit cards are considered to be the most popular methods of choice when it comes to funding an online casino account. More specifically, Visa and MasterCard are the preferred brands as they are globally recognised as reputable card options and widely available at secure sites such as the casinos in the above table. If you experience any difficulties with either of these brands,it may be a problem specific to your financial institution. Some don’t allow gambling transactions, while others charge a fee. It’s important to read their policies if you want to avoid any charges or or make an easy deposit process difficult. Visa offers a secure and quick means of making a deposit. However, there can be some hurdles depending on your bank which issues the Visa card. The process of making a deposit with Visa is incredibly uncomplicated. All you have to do is go to the cashier of the online casino you have registered to and locate the Visa logo. Then all you need to do is enter the information from your card as you would any online purchase, including the name, number, expiry date, and three digit number on the back (CVV). Most online casinos process deposits using credit and debit Visa cards instantaneously. MasterCard is on par with Visa and is considered to be its bigger rival in the major credit and debit card world. However, when it comes to online gambling transactions MasterCard may fall behind by just a few points. This is due to the lack of withdrawals available with MasterCard credit – you may be able to withdraw with Maestro debit a branch of MasterCard, however. For deposits, on the other hand, it is on par with Visa and you follow the same process as detailed above. Web wallets, also known as e-Wallets are incredibly popular as they’re great alternatives when the preferred choice of deposit method isn’t available. An e-Wallet account can be set up in just a few minutes and funded quickly too. However if you choose to fund for free it will be via a bank transfer and this will take a few days. Want to speed the process up? You will probably have to accept a small fee. Neteller gained attention in 2005 when it handled around 80% of all gambling transactions. But this wasn’t good attention as it was noticed by the US government who forced Neteller to withdraw from the American market. Fortunately for many other countries, Neteller is still available for use and can be used at all of the aforementioned web casinos. All you have to do is register an account and fund it – as we said bank transfers are fee free but take a few days to process. You you can speed up the process via prepaid methods, credit or debit cards, or other payment options but you will be charged a fee. All of the online casinos in the table above offer Neteller on their banking page – simply locate the logo, enter your assigned Account ID and Secure ID which stores your funds and make the deposit. A benefit to Neteller is Guts offers instant withdrawals to your web wallet account. Skrill, formerly known as Moneybookers, is what MasterCard is to Visa in the virtual wallet world. Users set it up in the same manner they would Neteller and deposit the same way – with one exception. Skrill offers a service known as Skrill 1-Tap which allows users to store their account details with the online casino and only make one tap to deposit. This is recommended for players who can manage their funds well and are playing at reputable casinos, including Gday Casino. A wire transfer is a popular method for the security conscious and higher limit players. This is due to the nature of how the transaction is made – via Internet banking or by going to your local branch – and the larger maximum deposit limits casinos accept with this method. Players can send the funds manually by getting the details of the online casino, or they can have the details auto-filled by following the bank transfer option from the cashier. Standard bank transfers take up to three to five days for funds to appear in your account but you can speed the process up by opting for an instant bank transfer – you may see a small fee incurred for this method however – and your funds will appear in your casino account instantly. Why are these methods so common for casino deposits? These methods are globally recognised as secure ways to fund your casino account. Each brand uses state-of-the-art technology to protect your details. Pair this with our recommended web casinos which implement advanced encryption technology and you will quickly see why these methods are so commonly used at safe sites. If you’re looking for a safe online casino to make a real money deposit, we recommend Bovada Casino as our top-rated casino site for players from United States, which has some excellent welcome bonuses available for new players when depositing real money for the first time, with a great selection of casino games on offer.